All vinegar. All the time. Well…most of the time. I love to garden and eat what I grow there. I got started in the kitchen early, learning to cook creatively at the apron strings of my Mother, and I have never stopped. Garlic Scape and Tarragon "Hummus"
Brett and Siri came by the Farm on Friday bringing with them a bottle of wine and some wild rice from northern Saskatchewan. John and I were labouring in the vineyard but we’re happy, for whatever reason, to stop. Nothing like hard work to make you really appreciate slacking off! Wild rice is not, in fact, rice at all. It is the seed of Zizania acquatica, an aquatic grass which grows in shallow lakes and slow moving rivers in Saskatchewan. It can also be found in Manitoba and Northern Ontario. At first blush, wild rice seems expensive. It is, but given that it quadruples in volume when cooked, it remains good value. A little goes a long way. 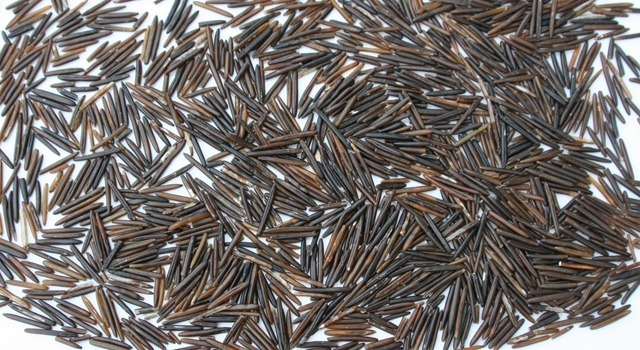 Wild rice can also be mixed with other types of rice to make it go further. 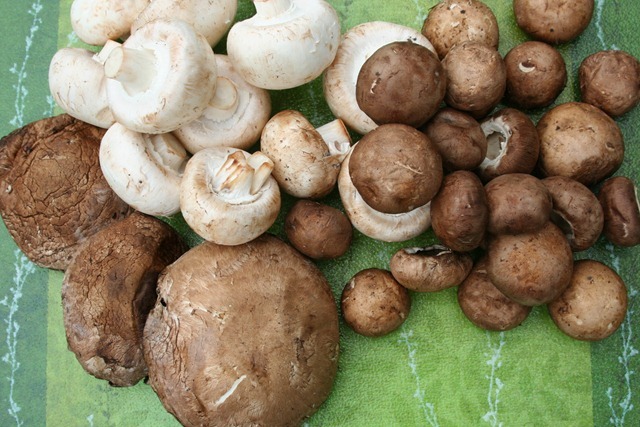 The following recipe is easy to make and the flavour of the mushrooms – exceptional. Just remember to get the rice cooking before you start or cook the rice earlier in the day. 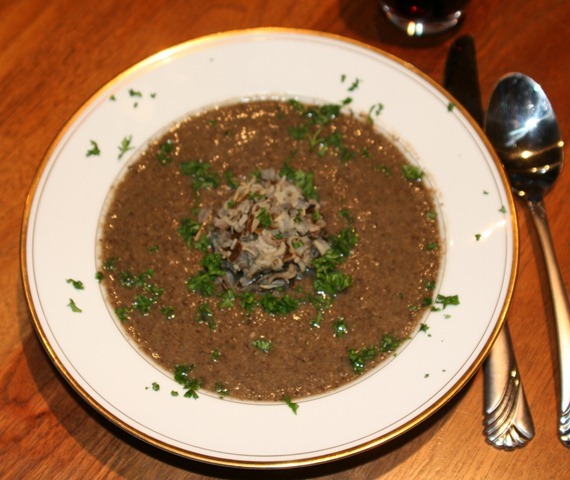 Typically mushroom soup is a creamy soup made with milk or cream. In this recipe the wild rice is used as a thickener and when pureed it makes a nice, creamy soup. I wanted to see the wild rice in the soup so the remaining wild rice is scooped gently into the hot soup using my trusty disher ice cream scoop. 1. Bring 1/2 cup wild rice and two cups of water to a boil. Reduce heat and cook over low heat for 45 minutes. Don’t worry if all the water does not evaporate. 2. In a large stock pot sauté onions, carrots, and celery until onions are transparent. Add garlic and sauté for 2 minutes. 3. Add mushrooms and sauté for 15 minutes. Add verjus, thyme, and cook for 5 minutes. Add water or stock, 1 cup cooked wild rice and simmer until mushrooms are well cooked and vegetables tender. 4. Puree soup until smooth. Add salt and pepper to taste. Add vinegar to brighten the flavours. 5. Ladle soup into warm soup plates and divide the remaining 1 cup wild rice (heated) between them. Sprinkle with chopped parsley. 6. Serve with fresh, hearty bread. All vinegar. All the time. Well...most of the time. For people who are passionate about respecting the earth, walking in nature, observing wildlife, local diet, making do, repurposing, organic gardening, foraging for wild plants and fungi, natural health, scrumptious healthy cooking, renovations, DIY, crafting, raising children simply and mindfully, their dogs, taking time for stillness, and living in harmony with the seasons.